A man who attacked an NYPD officer last month with a hatchet was inspired by terrorists and black separatism, NBC4 New York reports. “There is no doubt it was terrorism,” Comey said during a news conference at the Newark FBI offices. Comey said Thompson reviewed jihadist propaganda and ISIL beheading videos online. “There is no doubt that played a role,” Comey said. 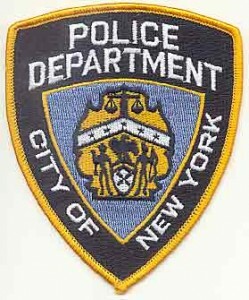 Thompson is accused of attacking NYPD rookie Officer Kenneth Healy while he was posing for a picture. Healy spent time in the hospital and rehabilitation before being sent home to recover. Posted: 11/18/14 at 10:34 AM under News Story.